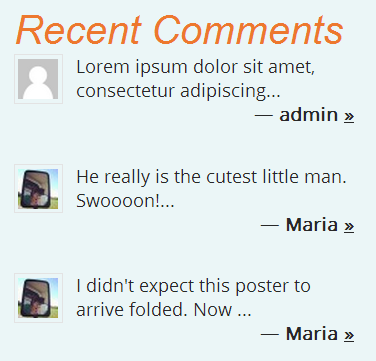 We improved a standard WordPress widget called “Recent Comments” by adding gravatar of comment’s author. Add this widget to your sidebar or footer widget area to feel the difference. This feature makes comments on your website more attractive for visitors.